I am a freelance writer. Sure, there are other names for what people like me do, and the titles I have change from magazine to magazine (editorial contributor, staff writer, unpaid fool) but I basically do the jobs other writers don't have the time to do, so I handle a lot of last instant, messy problems that I am expected to handle with perfection and aplomb. Culture Magazine is based on medical cannabis. That is what the magazine is about. If I interview you, we are going to talk about the devil's tobacco. You can say you hate it or love it, but we gotta talk about it. If you were being interviewed by Cannibal Massacre Monthly you'd eventually have to talk about slaughtering people and eating them, even if you were a pop artist, or a truck driver from Pittsburgh. Sometimes when you have to interview people you have to talk to Those In Between. These are the people who the artist thinks is helping them, but they are just sort of, well, in between me and the artist. Often times they think they are doing a good job, but they screw up a lot when it comes to my business. Here is why. My job is to interview an artist and get the best things they have to say about their work, their art, their soul and the world they live in. The more questions I ask, the more time they have to say, the better it gets. Those In Between, though, love to jump in and meddle. They suddenly tell you not to talk about certain topics at the last instant, or they cut the interview short because their artist is actually a masked superhero, and somewhere nearby a 747 is about to crash so it is time for them to stop talking about their careers and jump into a costume and save human lives. This just makes the artist look lame. Not a lot of people being interviewed are ready to rock right away. You introduce the topic, go back and forth, and eventually there are words, sentences and paragraphs. If all is well, we wrap up the interview within the right amount of time and the artist has been able to talk about everything relevant to making him famous and earning more money. Those In Between can mess this process up. 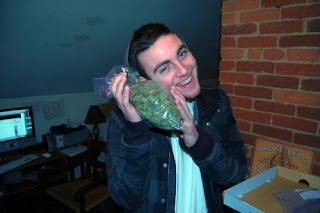 As I got ready to talk to Mac Miller, suddenly his representative got on the phone and told me that Mac Miller could not talk about cannabis. At all. No mention of it whatsoever. I agreed and talked to the artist. In his defence, the young musician was very friendly and even seemed unhappy about not talking about cannabis. Right when we were about to get to a few other questions, the representative jumped on and said the interview was over. Then they both hung up. Needless to say, the editor was annoyed. "He didn't talk about cannabis. What are we going to do?" As irate as he was, the editor couldn't blame me. We both knew what happened, and that was the music business. 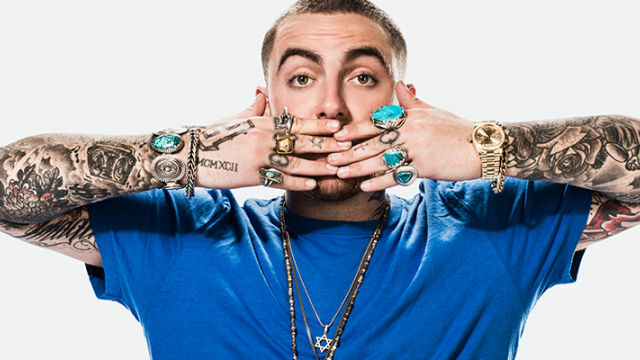 We got screwed, Mac Miller looked odd, and the entire article was in danger. Thankfully, the editor and I found many, many quotes where Mac Miller basically talks about the stuff the way starving men speak of massive deli sandwiches. The relevant quotes were placed at the bottom of the article, and everyone was happy...especially me, since I still got paid. The music Mac Miller makes has the seriously cool spirit only the city streets can create. I’m pretty sure that if you lacked a proper electrical source you could keep everything in your refrigerator chilled by plugging it in to Mac Miller’s latest album, Watching Movies with the Sound Off, an audio joy ride full of spine-vibrating bass, dry ice-nice lyrics and the kind of beats that can make driving fast easy. Born Malcolm James McCormick in Pittsburgh, Pennsylvania, the young hip hop artist released But My Mackin’ Ain’t Easy in 2007 when he was only 15. Early on the tyro signed up with Rostrum Records and released a series of mix tapes that proved that the powerhouse from Penn state had the potential to easily knock down other hip hop heavyweights with stunning grooves and hard-hitting lines that belied his youth and revealed and man who knew how to make music. On November 8, 2011, Mac Miller unveiled his first LP, Blue Slide Park, a certified gold album that hasn’t stopped being awesome ever since it hit the Internet. 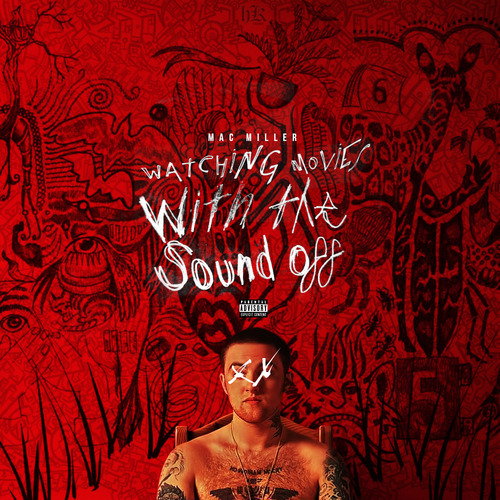 His second LP, Watching Movies with the Sound Off, released just a few years later on June 18, 2013, has taken his career to a whole new creative stratosphere. 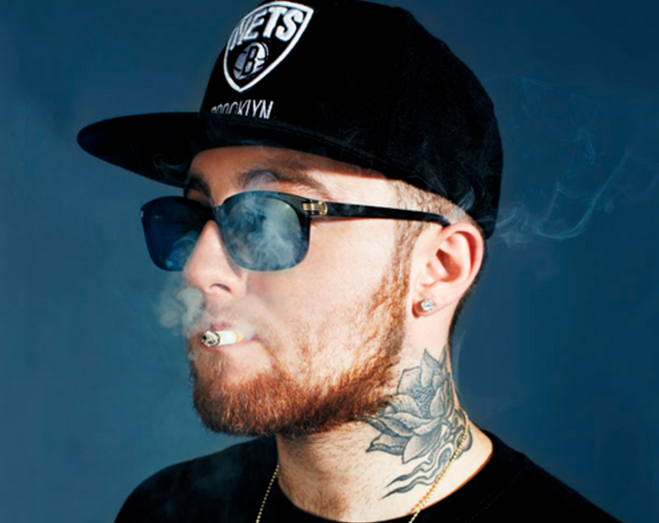 Culture Magazine was fortunate enough to talk to Mac Miller in between performances about life in the successful lane. When asked about what’s next, though, he keeps it humble. “Well I think it’s about not getting too big too quick. That’s the key. I’m taking things step by step.” The artist has seen a lot of new talent burn out fast, so he doesn’t want to be another sad story. “Everyone wants to go straight from point A to Z, not realizing that everything in between is just as important,” he says. 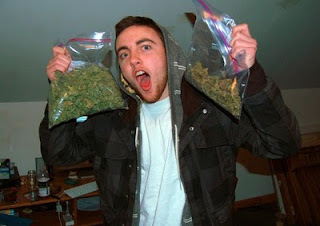 He’s proud of the success of his newest LP, although Mac Miller admits he made it mostly to relax from the pressure of creating the first one. “I think this album came to me at a point when I didn’t want to accomplish anything. The first album had to be big. I wanted to really accomplish something,” he says.